I found a bunch of my childhood jewelry tangled together, and was inspired to make it into one messy, tangly, slightly blingy necklace... Not too bad for a spur of the moment project, I might say! First, take each necklace and remove the fasteners. 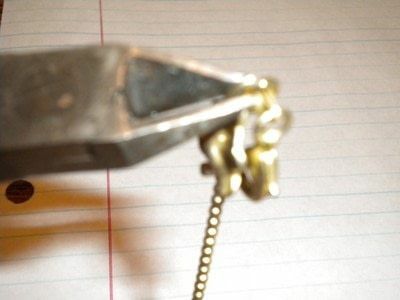 Depending on your necklace, you might be able to do this with just your hands. 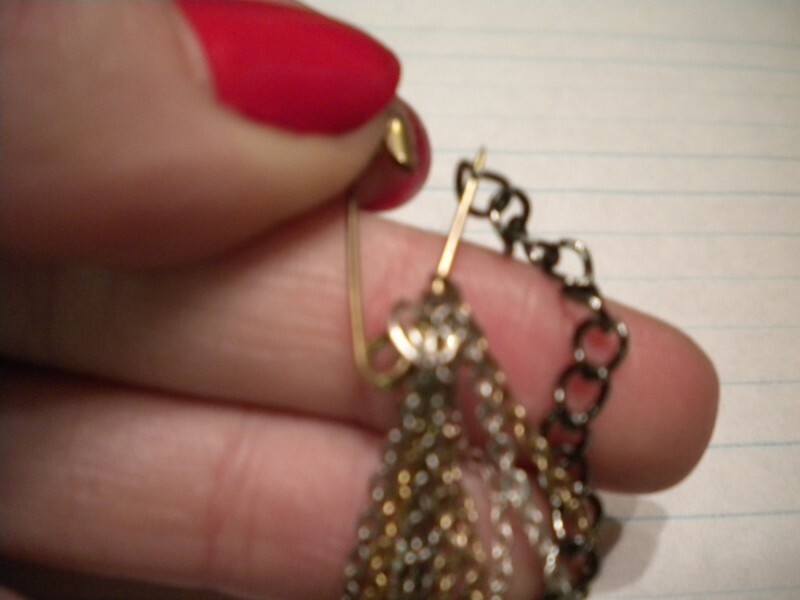 Or, if you're impatient like me, you can often just cut the fasteners off. 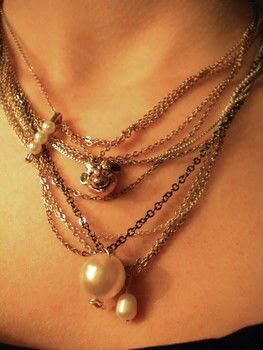 Next, string the necklaces onto small safety pins. 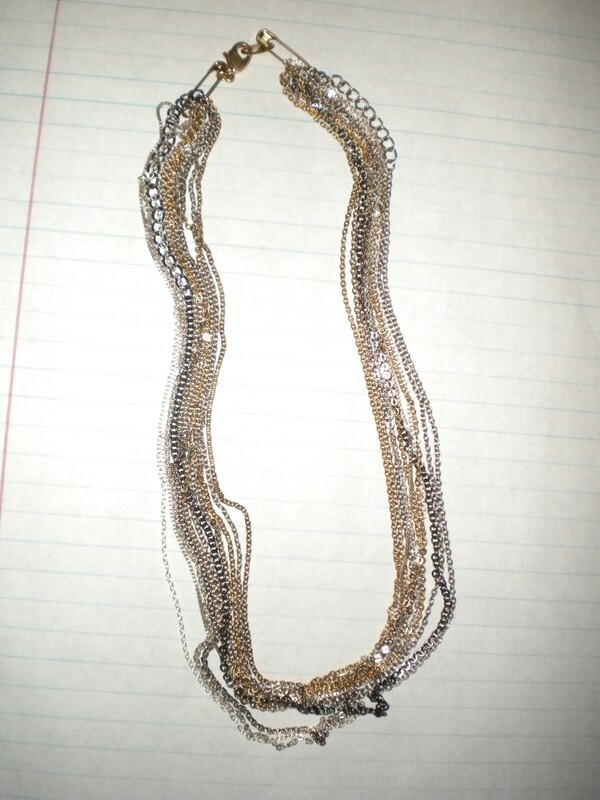 I just used one at each end, but if you want your necklace to be longer, add more. Attach one of the fasteners you removed in step one to the safety pin. 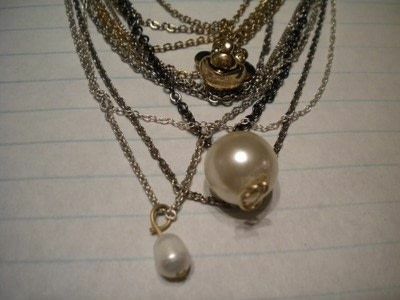 Attach your charms to differnt chains using leftover jump rings, gold wire, or more safety pins. Have fun, play around with the placement, and you're done!